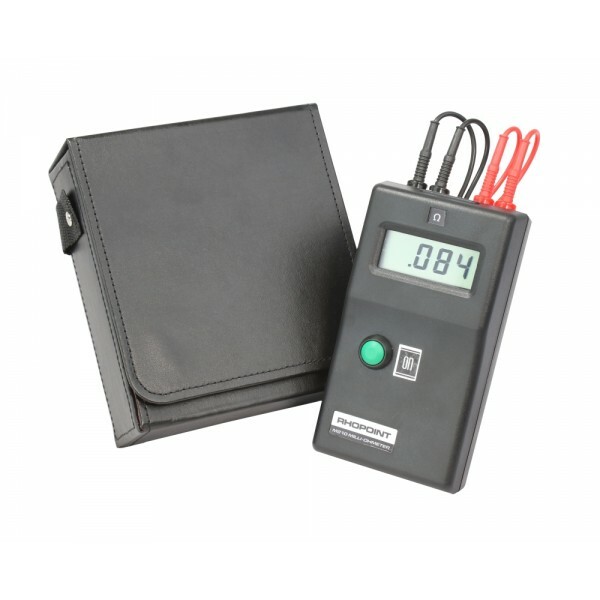 Manufactured by Rhopoint Instruments Ltd in the UK, the M210 Milliohm Meter is a portable, low resistance digital meter designed to measure over the range 0.001Ω to 200Ω. A high degree of accuracy is achieved by utilising a four-terminal input to eliminate errors caused by test lead length. One of the most important features of the milliohm meter is its low (0.005A) test current. This ensures the contact being tested is not 'cleaned' by the test current which can happen when higher test currents are used. This 'cleaning' of the contact under test leads to erroneous measurements. The M210 milliohm meter is powered by a single 9V (PP3, MN1604 or equivalent) battery (not included). Also available are replacement M210/9A 4-terminal spring clip connector lead sets and M210/9B probe and clip connector lead sets. Replacement set of 4-terminal spring clip connector lead set for Rhopoint Instruments' M210 Milliohm Meter. 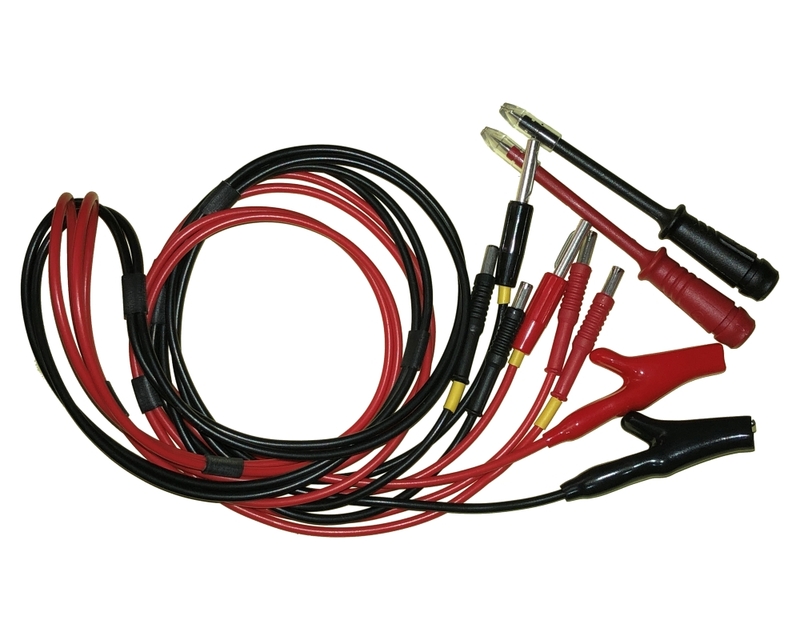 The M210/9A set includes two leads connecting to the Milliohm Meter by two 4mm plugs. Each lead has a two-terminal crocodile clip at the end, which clips onto the tested component, ensuring accurate reading s every time. The jaws of crocodile clip feature copper/silver inlay and are insulated from each other by plastic moulding, allowing .. Optional set of probe and contact connector lead set for Rhopoint Instruments' M210 Milliohm Meter. 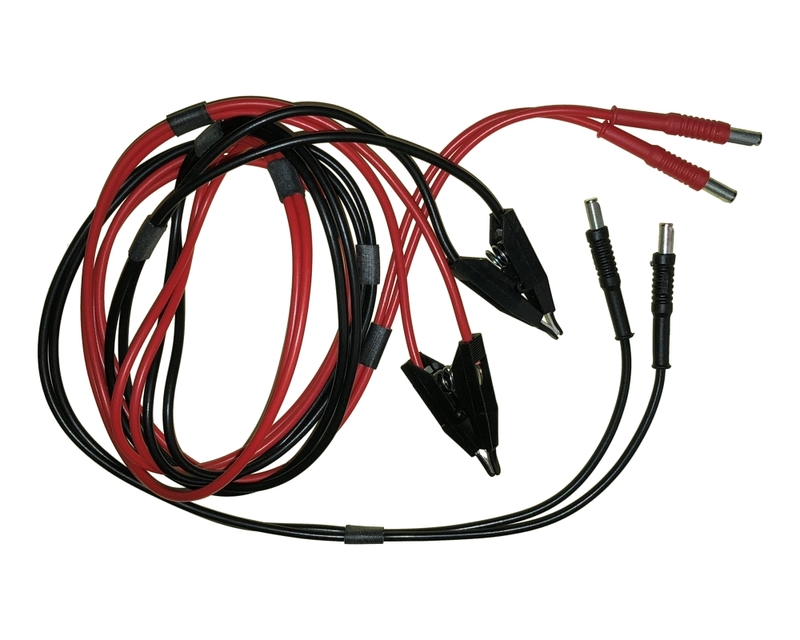 The M210/9B set includes two leads connecting to the Milliohm Meter by two 4mm plugs. Each lead has an insulated crocodile clip at the end, which clips onto the circuit, and a 4mm Oz plug with attachable test probe which can be used for taking measurements at different positions. The leads are supplied in 1m length as standard, but any length can.. Replacement carry case for the M210 Milliohm meter. Made of quality black faux leather with soft padding inside and a shoulder strap, it helps protect the equipment on the go or in storage. 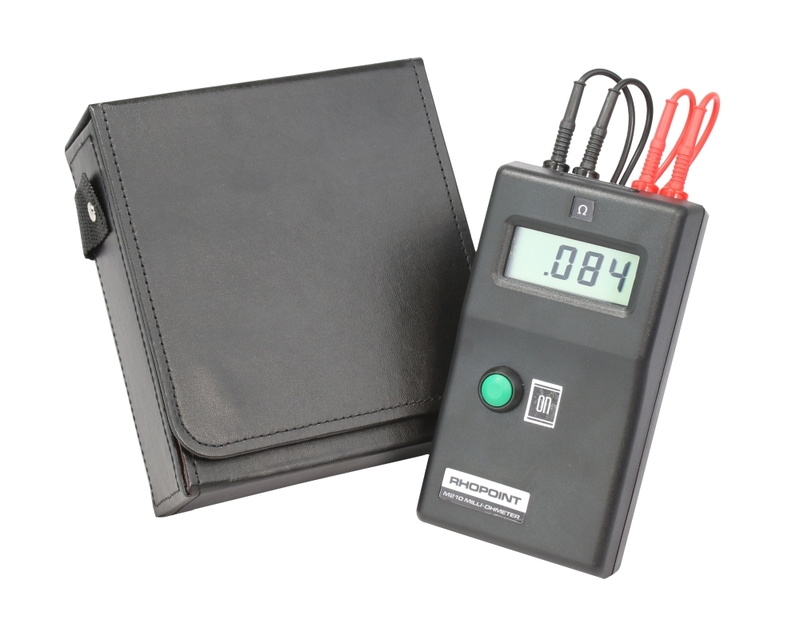 The case features two separate compartments - one for the meter itself and one for the set of test leads, and appropriate cutouts to facilitate use of the Milliohm meter without having to take it out of the case.M210-100 carry case is supplied with M..